Charles Wayne Thompson died January 29, 2019. Born in Washington, D.C. on July 15, 1942, the oldest son of Glenna and Charles Thompson, Wayne grew up in Medford, Oregon. After graduating from Willamette University in Salem, Oregon, he joined the Peace Corps and spent two years working in rural community development in Peru, where he met his wife, Rolly Shaner, also a Peace Corps volunteer. Wayne's service in the Peace Corps was a life changing experience for him. When he returned from Peru he attended the University of Oregon and earned a masters degree in history. 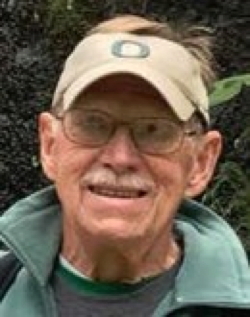 He taught junior high and high school social sciences for 31 years in Lowell and Eugene, Oregon. His love of history inspired many students. He had the gift of making learning fun. Wayne and Rolly were married in 1966. In the 1970's they bought a small farm where they raised natural colored sheep, angora goats, and alpacas. Wayne became involved with the Black Sheep Gathering volunteering for over 30 years. Community service continued to be important to Wayne. Wayne was active in the West Cascade Peace Corps Association. He gave freely of his time for various projects and fund raising activities. Wayne had many interests. He was a sports enthusiast. He was an avid gardener; nothing gave him more pleasure than working in his garden. Wayne was preceded in death by his parents. He is survived by his wife, Rolly, his brother, Bradley Thompson and wife LeeAnn Thompson, and nine nieces and nephews. The family would like to thank Cascade Health Hospice for their care and support in his final days. A celebration of life will take place July 13 at Wayne and Rolly's home. Memorial donations may be made to Environmental Law Alliance Worldwide, 1412 Pearl St., Eugene, OR 97401 and Clinica Kausay Wasi, www.kausaywasi.org. Photos Posted by Perrin Kerns, one of his students. 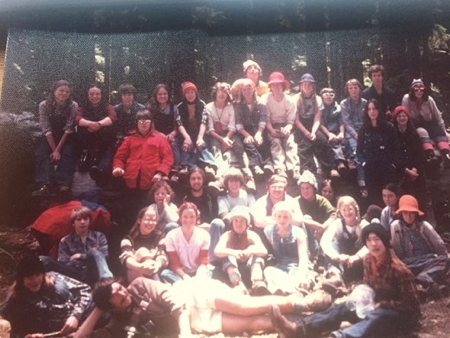 (below) Maybe surrounded by his class of Outdoor Ed students 1976. 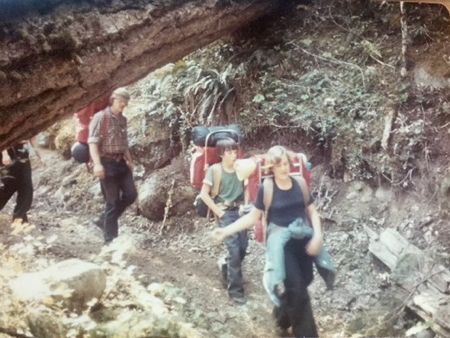 (below) Wayne walking with Pam Deutsch in Outdoor Ed, 1976. 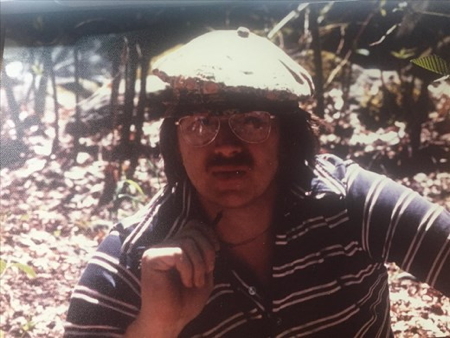 (below) Wayne Thompson, Outdoor Ed, 1976.